Here is another of the four “good” bird pics I got over the weekend . . . having never been a bird watcher, once I began looking a little more closely, I really got into it. New hobby? Certainly a pleasant way to spend some time. Don’t know what this fella is, so the word is out . . . 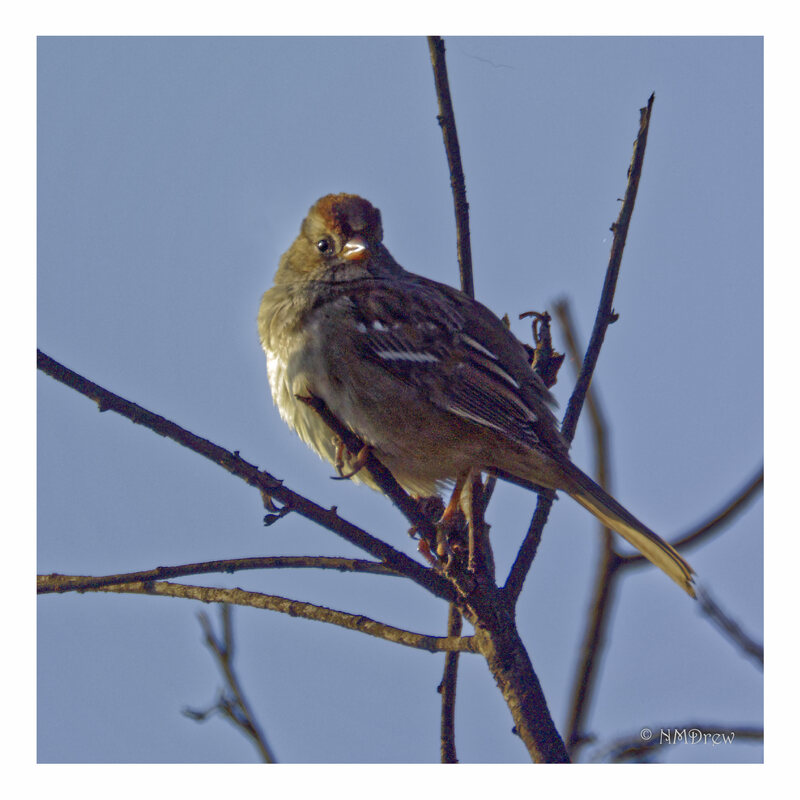 Note: This is a young White-Crowned Sparrow, as opposed to the old ones from a few days ago. This entry was posted in Glimpses and tagged 1 Nikon 70-300mm f4.5-5.6, bird, botanical garden, California, Conejo Valley, Nikon V3, photography, Ventura County. Bookmark the permalink.